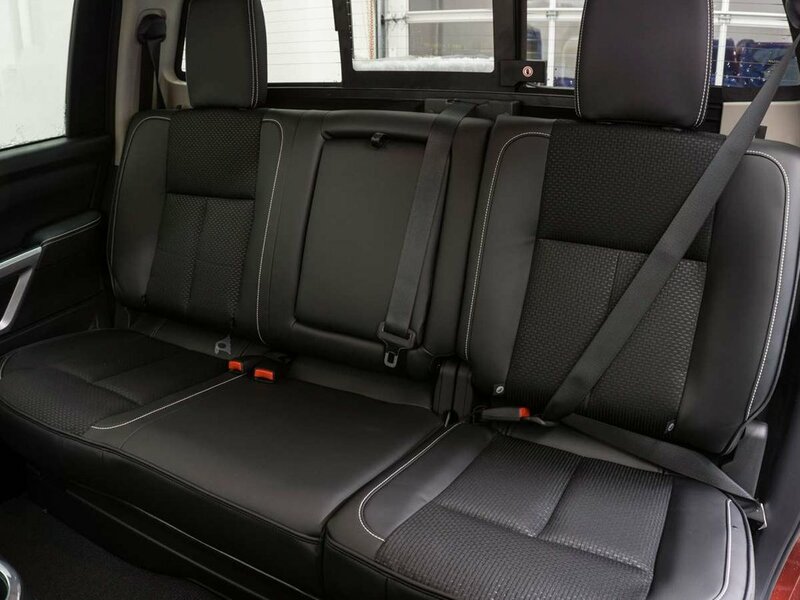 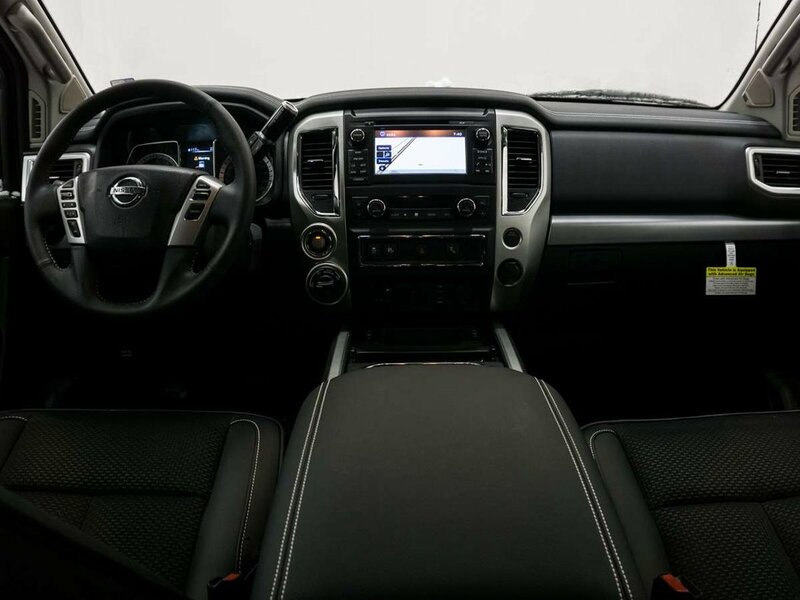 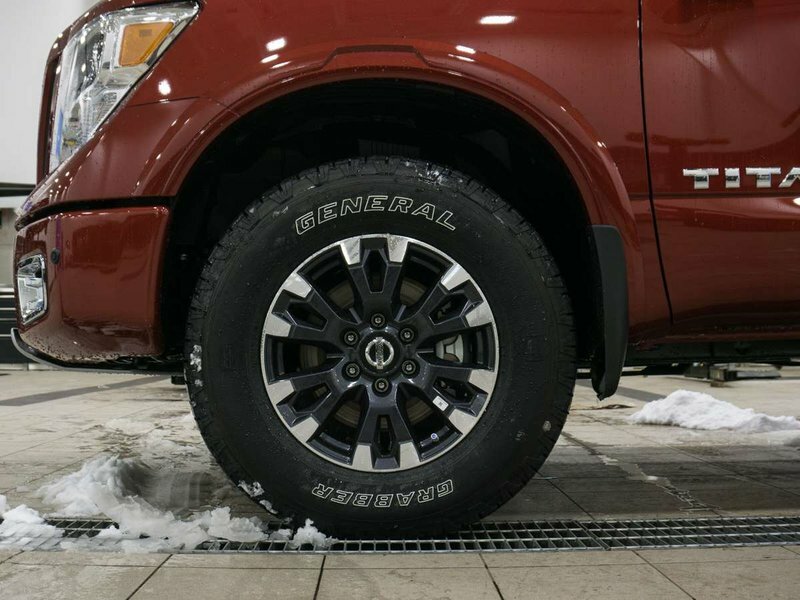 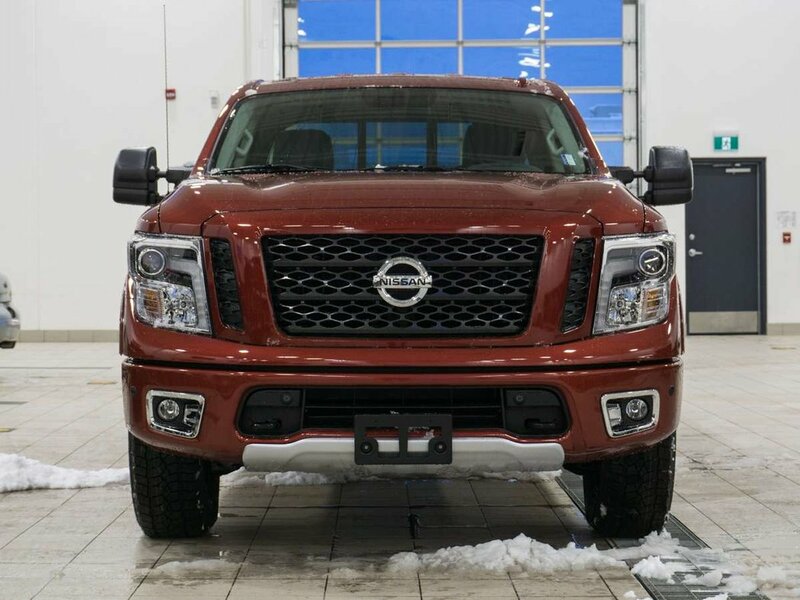 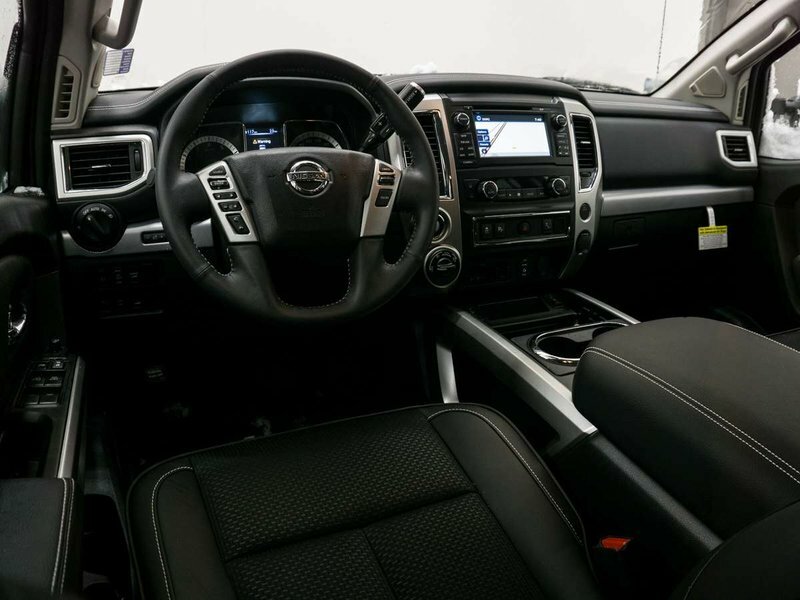 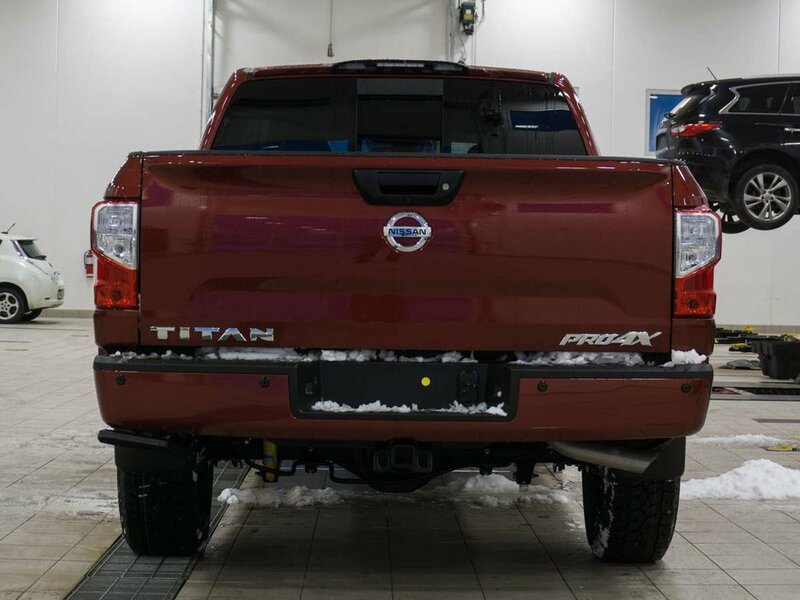 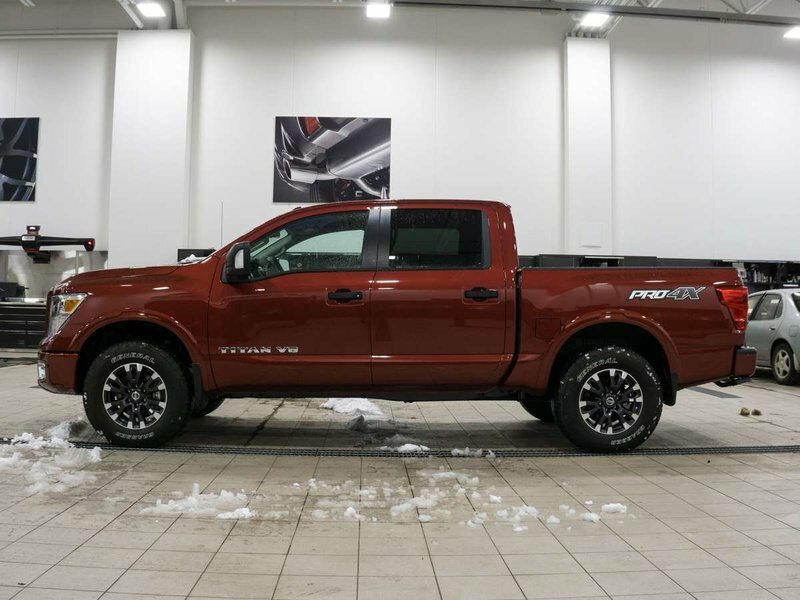 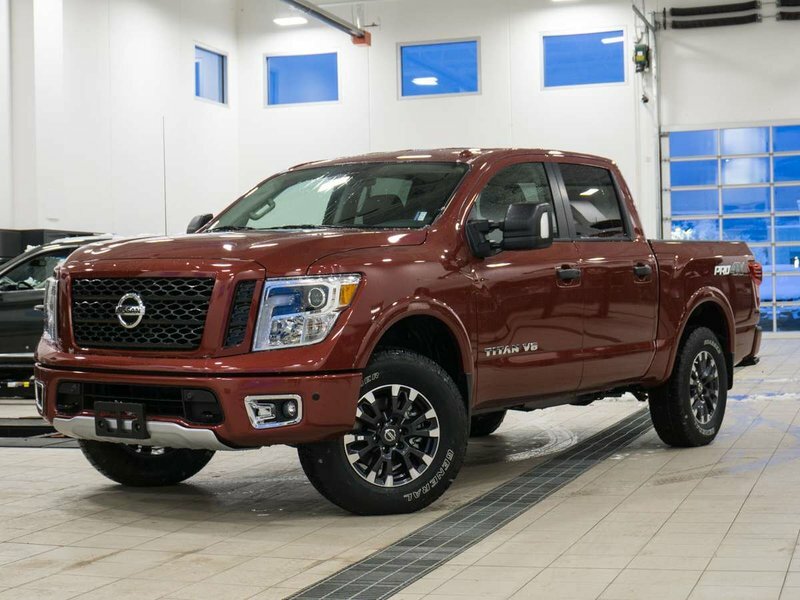 2018 Nissan Titan Gas Crew Cab Pro-4X with Cayenne Red exterior and Black interior! 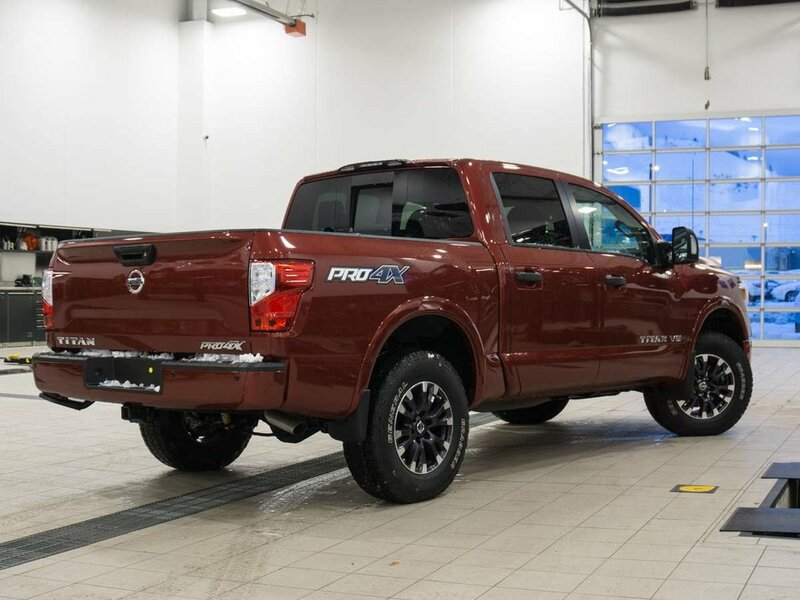 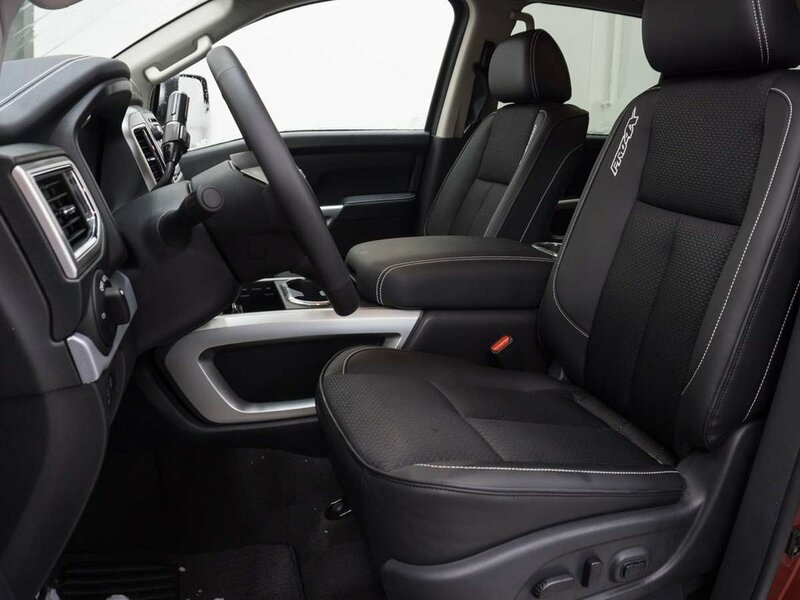 The Pro-4X model adds Bilstein Off-Road Shocks, Rockford Fosgate Powered Audio System, 18-Inch Dark Finished Aluminum Alloy Wheels with All Terrain Tires, Electronic Locking Rear Differential, Hill Descent Control, and more! Call or email our sales team today!